Those kids were asked few questions. you will be shocked what were the answers ! It was not made clear whether these kids acted in the video clip were orphans. By the way, Maxis pledged donating RM1 for each of LINE Malaysia users downloads the amazing stickers. Let them donate for the unfortunate !! 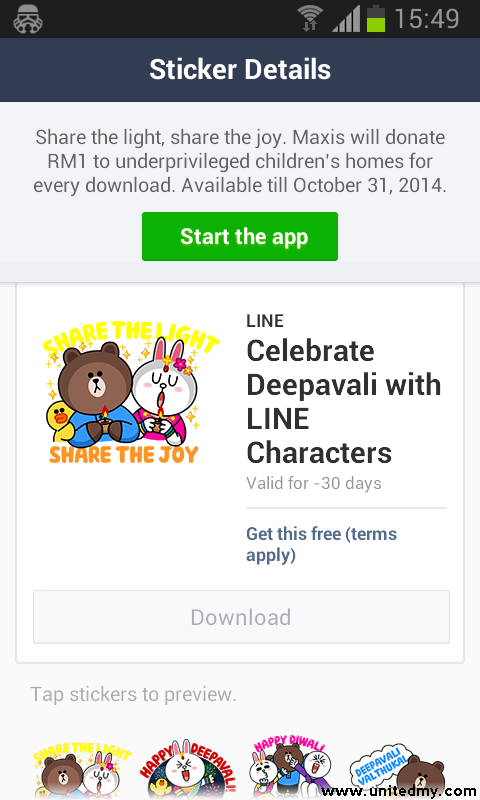 Click "Celebrate Deepavali with LINE"
There will be a meaningful video for everyone to see. It available on Youtube though. Maxis, one of the largest brand operating mobile and network services in Malaysia is enthusiast in helping all of the underprivileged children's homes. This is only available till October 31, 2014. Now it your chance to do some charity for ! !